Minitube is a YouTube Desktop client to play your YouTube videos in your desktop/laptop without having to create a YouTube account. You can watch 1080p HD videos without any stuttering. It provides you a TV like experience and consumes less CPU resources, because it does not use Flash Player. Also it gives you the download option, so that you can download the video’s instantly what you like. It will run on Windows OS, Mac OS and Ubuntu platforms. Translated to more than 30 languages including German, French, Italian, Russian, Danish, Dutch, Spanish, Portuguese, Hebrew and Chinese and many more. You can download and compile the source tarball here. Extract the tar package in any location and refer the Readme file to install Minitube. Now launch it from Menu or Dash. 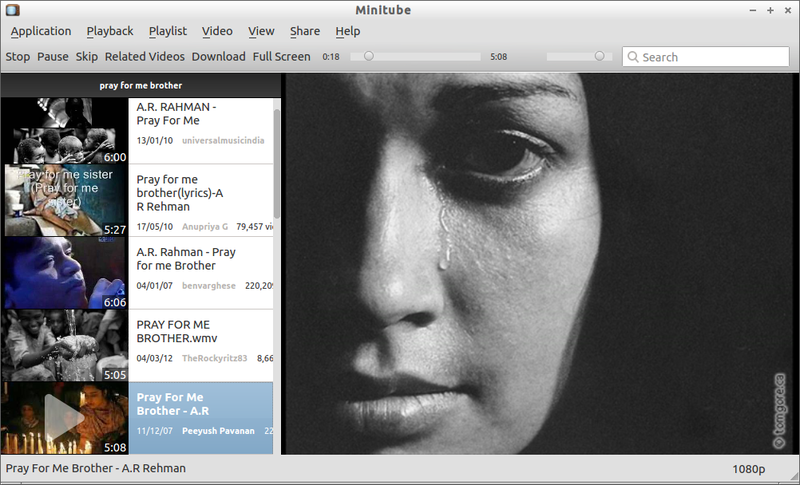 Minitube home screen will look like below. Enter the keyword or channel name to play back your videos. Also you can select the video quality by clicking on the lower right corner icon. 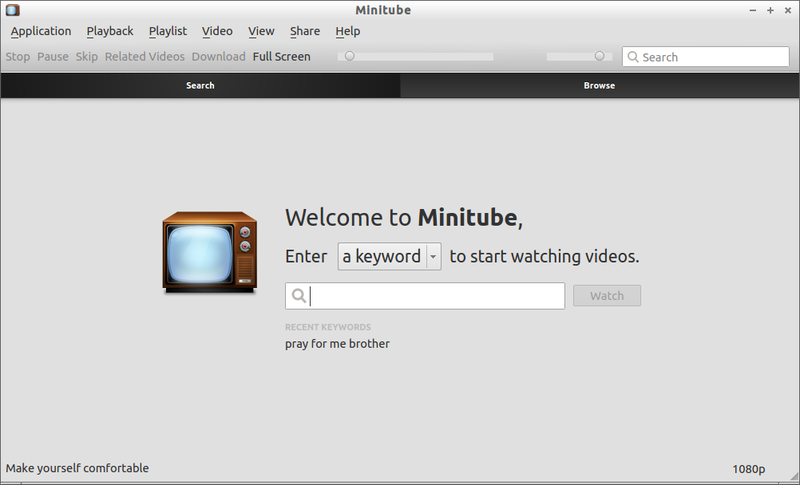 Once you selected the video, Minitube will play it for you. You don’t have to create an account in YouTube.